Former New York City Comptroller and Council Member John Liu has thrown his hat into the political ring once again, this time against a familiar rival—incumbent Tony Avella. Avella, a Democrat, is the current senator for the state’s 11th district, and has held the position since 2010. He beat Liu, also a Democrat, in 2014 by almost 900 votes. Liu also ran for mayor in 2013, but a scandal around his campaign finances left him without enough funds to continue, and he lost in the primaries. 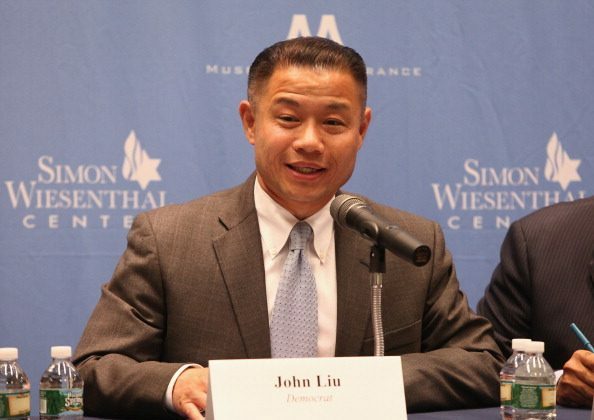 His campaign treasurer Jia “Jenny” Hou, and a fundraiser, Xing Wu “Oliver” Pan, were found guilty in 2013 of attempting to defraud New York City by using straw donors to illegally obtain public matching funds for Liu. Pan was sentenced to four months in jail and three years under supervision and Hou was sentenced to 10 months in jail and three years under supervision. Liu was investigated but never charged in the case. After he lost that campaign, Liu went back to the private sector and worked at City University of New York (CUNY) and Columbia University teaching municipal finance and public policy. Controversies around Liu go deeper than the scandals around his campaign finances, however. Liu has faced protests within the Chinese community that started when he took a trip to China in 2007 with leaders who were friendly with the Chinese Communist Party. During that trip, he met with Xu Yousheng, vice president of the Overseas Chinese Affairs Office, one of the Chinese regime’s two primary offices for foreign espionage. It also helps the regime monitor and harass people in overseas Chinese communities. “John Liu, among the community, is considered to be someone morally corrupt, and there are many questions regarding his political views,” Liu Guohua, a Chinese democracy activist, told The Epoch Times in 2014. The Epoch Times has documented people working on Liu’s campaign who were also involved in a group spreading propaganda about the Falun Gong spiritual practice, which has been persecuted by the Chinese Communist Party in China since 1999. Falun Gong is a meditation and qigong practice that became widely popular in China when it was first introduced to the public in 1992. But this year Liu has another powerful ally, a group called True Blue NY that has made it their mission to root out all the “traitorous” Democratic senators who were part of the Independent Democratic Conference (IDC), a group that sought to gain influence in the Senate by aligning with Republicans. Avella was one of eight senators in that group, and True Blue NY has set its sights on him. Although the group formally disbanded earlier this year, True Blue NY says it is holding “these [IDC] Democrats accountable” for crossing the aisle to work with their Republican colleagues, and hopes that by ousting them in the primaries, they can “promote progressive legislation” in the state, the group’s website says. It’s not clear why they chose Liu, who has demonstrable ties to the very undemocratic Chinese Communist Party. True Blue NY did not respond to an emailed request for comment. Speaking to The New York Times, Liu said he met with the group about a week before deadline about registering to run. He told them that if they could collect enough signatures to get him on the ballot, he would try.